Reece Hodge will miss Australia's Bledisloe Cup clash in Japan and the tour of Europe after suffering a fractured ankle. 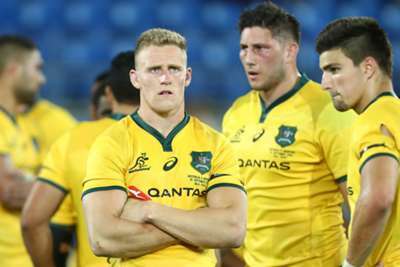 The 24-year-old centre's season was ended by an innocuous training incident as the Wallabies step up their preparation to take on New Zealand in Yokohama next Saturday. Hodge's injury is a major blow for Australia coach Michael Cheika. "I think he had three games scheduled and one [he] had to forfeit so he got two games under his belt," Cheika said of Kerevi, who featured in the Byron Bay Sevens this weekend. "I was thinking about bringing a couple of development players for the European section [of the tour] and we will just have to see," he added.